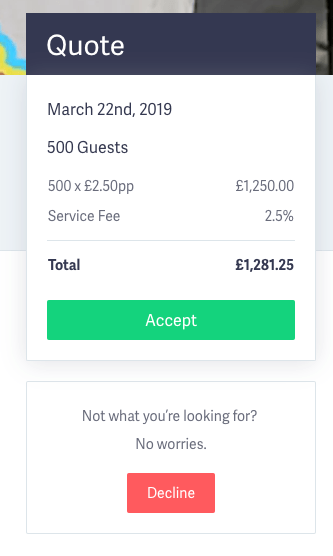 You can book a caterer in two ways on Feast It - by booking directly via a caterers profile if you know exactly who you’d like, or by letting us handpick the best caterers for your event via our enquiry form. 1. Whichever method you use, you’ll receive an email from us once a quote comes in. 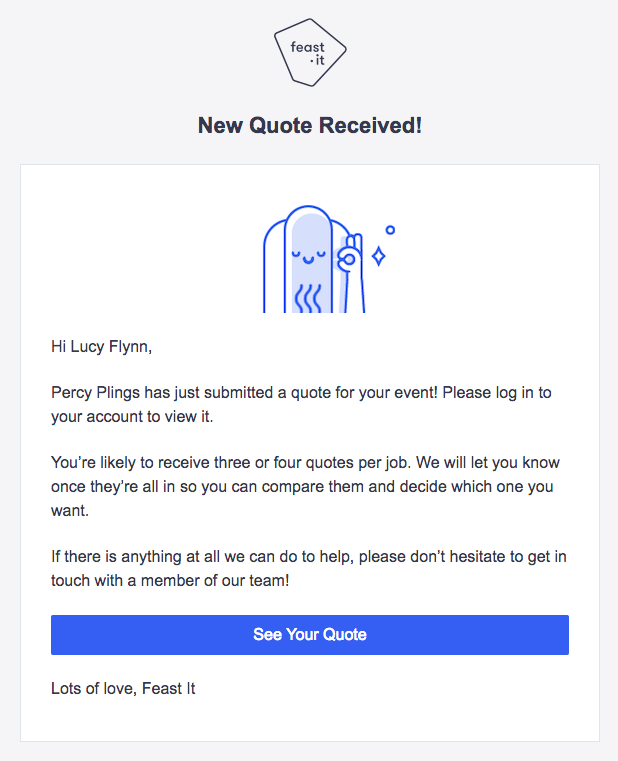 You can follow the link in the email to view your quote in your Feast It account. 2. At this stage, you can either wait for more quotes to come in, or you can accept this quote by clicking ‘Accept’. 3. 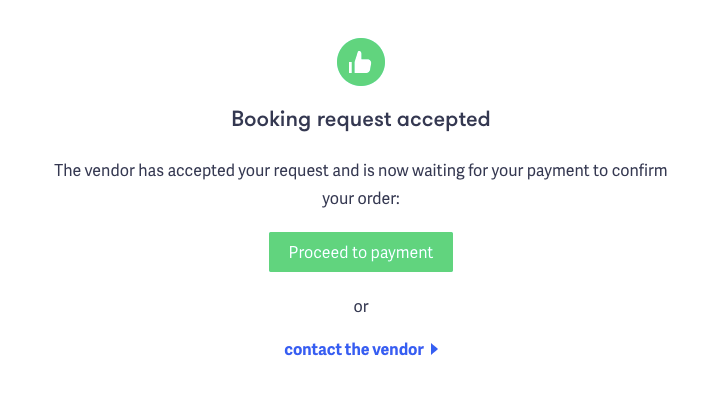 Once you have accepted the booking request, you can either proceed to the payment page, or chat to the caterer to ask any questions you might have before you pay. You can still chat to them once you’ve paid too! 4. We have handy monthly payment plans, allowing you to pay a deposit upfront, dividing the rest of the bill equally over the months leading right up to your event. 6. 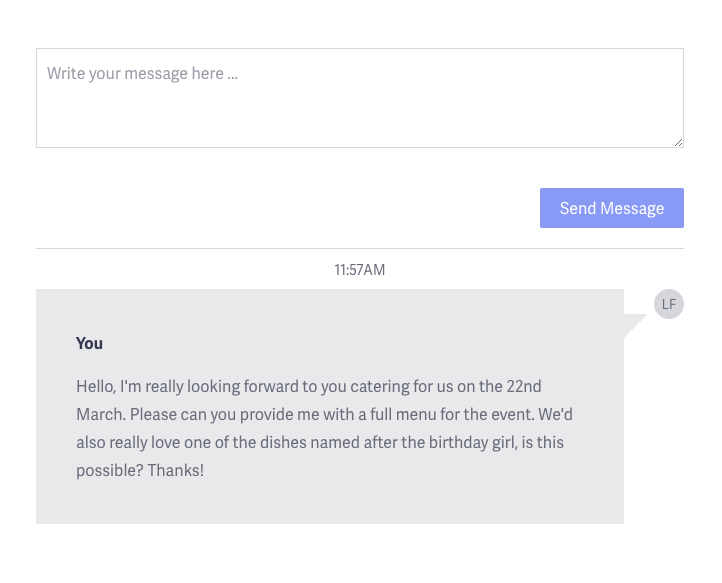 When a caterer replies to your message, you’ll get a notification email. 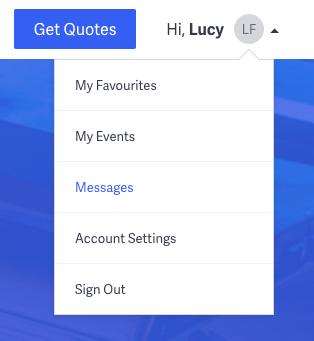 Alternatively, you can always login to your Feast It account and then go to ‘Messages’ in the menu area to view your conversations. 7. We hope this is all really straightforward, but if you are having trouble please do get in touch with your account manager and they will be able to help!